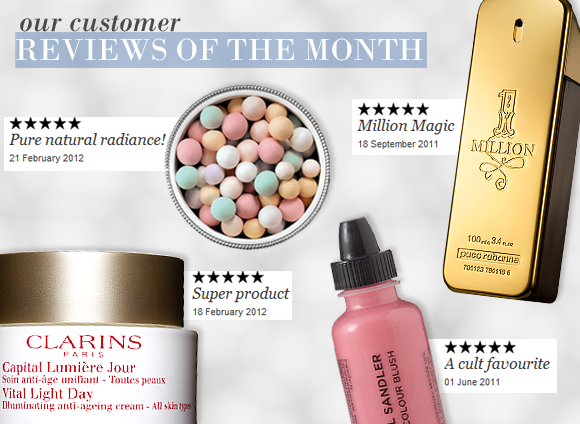 Below are our favourite reviews for September. Review are picked for being helpful, insightful or just really interesting. “I’ve never bought a facial self tanning product before but after a recent operation I thought I looked a little washed out and felt in need of a visual tanned boost. After reading several reviews it was clear this Clarins product is the best on the market so thought I’d give it a try. Easy to apply – although found best to do it at night and when at home as it does have that self tan smell, however once dried the smell disappears and leaves a healthy glow which is proving quite addictive. “This is a very simple fragrance. It doesn’t change through its life but I’ve never smelled anything like it anywhere else. It smells like Bonfire night, the burning woods and leaves and thats it.. If someone told you to close your eyes and sprayed some on your arm, straightaway you’d picture something burning! Its powerful for the first 5 mins but then fades fast which is its only downfall. After half hour it turns sweeter (like maple syrup) and sticks close to the skin. I got about 5 hours from it. Its original and not for everyone but the strange thing about CB fragrances is that seem to bring back memories rather than try to stand out by the scent alone. Everyone will have smelled this somewhere. “I have been using La Roche-Posay Effaclar Duo 40ml for over 3 weeks now and to encapsulate this products in one word: Brilliant. I am in my early forties and madingly for the second time in my life have started having outbreaks. Frustratingly unlike the first time ( in my teen years ) I have dry skin and large pores. I saw this product on I website I subscribe to and because of it’s reasonable price tag and description decided to give it a go! For almost the first time what was written on the ‘tin’ was true. This entry was posted on Thursday, September 1st, 2011 at 3:08 pm and is filed under Reviews of the Month, Tried & Tested. You can follow any responses to this entry through the RSS 2.0 feed. You can skip to the end and leave a response. Pinging is currently not allowed.